What happened? Was this simply a shift in sentiment among the tech & business media? A realignment of valuations by late stage investors? The beginning of a tech downturn? We can’t paint all “unicorns” with the same brush… there are some truly exceptional companies that have already been built like Uber and AirBnB and others that will emerge from the 100+ companies that at some point were valued at $1B+ in private rounds. But clearly 2015 saw the bloom come off the rose for this group of companies broadly. The answer seems much simpler to me… the VC & startup ecosystem was seduced by growth above all else, but terminal scale still matters. The trap that many unicorns and their investors fell into was to assume that a business that grows extremely rapidly must therefore end up being very very large (and profitable) businesses. I believe #3 and #4 are long-term secular trends that are unlikely to change anytime soon. We may find here in 2016 that #1 and #2 are more cyclical in nature. It used to take 5-10 years for a great startup to go from $0 to $75-100M+ in annual revenue. We have now seen companies do this in 2-4 years. A company that gets to $50M run rate in 2 years must be on it’s way to $1B+ and beyond right? The reality is there may be a lot of startups which grow very quickly but who’s terminal scale is not fundamentally changed. A $100M revenue company which has hit an asymptote of growth is unlikely to be worth $1B+ in enterprise value, even if it reached that point far more rapidly than most companies before it. Nothing grows to infinity, and companies can shrink as well as grow. The other things to consider is what is measured in terms of terminal scale. Revenue is revenue, right? Again one can’t lump all current unicorns into a single bucket… there are strong companies, weak companies, SaaS companies, service marketplaces, commerce companies, etc. But during a period where undue emphasis is put on revenue growth, it’s easy to lose sight of the fact that not every dollar of revenue is created equally. A pure software company might have 80-90%+ gross profit margins, but a commerce company might at best be 30-50% and service marketplaces might be far lower when measured on a gross revenue / GMV basis. And negative margins and upside-down CAC / LTV aren’t unheard of in today’s marketplace. FWIW this isn’t something entirely new or something that transpired just in 2015. Many of the current crop of unicorns raised capital in 2013 and 2014, so the investor and entrepreneur ecosystem was seduced by growth for 2+ years. 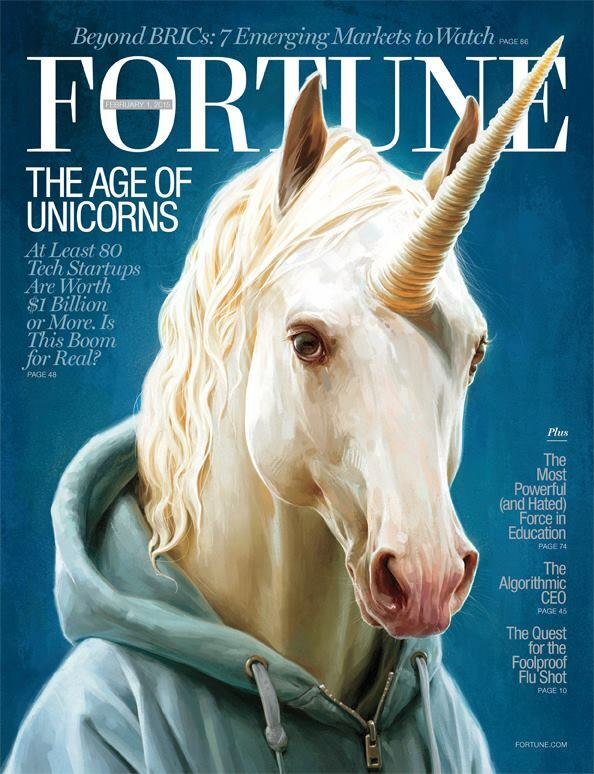 For reference, Aileen Lee’s original article on TechCrunch which helped bring “unicorn” into the parlance of our times was published in Nov 2013. And 5 years ago, before we even used the “unicorn” term we were seduced by the growth rates of companies like Zynga and Groupon. Both of these companies grew revenue at what was then unprecedented rates. John Doerr famously said Zynga was the fastest-growing company and best investment he ever made which is saying something for a VC who invested in Google, Amazon, Sun Microsystems, Netscape, etc. Many people valued Zynga and Groupon at $20-30B+, both buyers of shares on secondary markets and investment banks during the run up to IPO. But growth dried up (due to competitive pressures, changes in business model, etc) and today Zynga has a market cap of $2.2B and Groupon’s is $1.6B. The sea change in sentiment that occurred over the course of 2015 has bred a renewed emphasis on thinking about terminal scale as much as simply revenue growth. It’s also brought renewed scrutiny on unit economics and underlying profitability of startup businesses. There will be some additional pain for some companies and investors from the hangover of binging on growth alone. But net net this is a good thing for the whole ecosystem as we all get back to building not only disruptive and innovative businesses but fundamentally sustainable ones as well.